HomeGold IRA BlogBuy GoldSoros Says Round Two Of Global Economic Turmoil Is Coming! Soros Says Round Two Of Global Economic Turmoil Is Coming! Billionaire investor George Soros discussed the strong potential for another devastating global economic crisis, in a speech he delivered on Tuesday, in Paris. 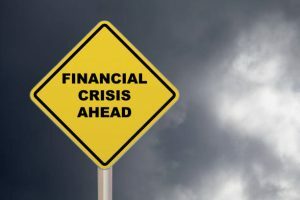 In no uncertain terms, he said that “everything has gone wrong” and another “major” financial crisis is coming. “Brexit is an immensely damaging process harmful to both sides,” said Soros. While Europe continues to wrestle with countries considering dissolution of the Euro and problems resulting from a continuing flood of immigrants, its biggest problems may be coming from its American allies, in the form of a collapsed Iran nuclear deal and dissolution of its transatlantic alliance. In order to prevent further damage, Soros encouraged the EU to create and invest in a 30 billion euro “Marshall Plan” for Africa that would stem the flow of refugees into Europe, thereby giving an improving economic base the chance to take root. Instead of abandoning the union, Soros suggested that members should pursue a “multi-track Europe,” rather than a “multi-speed Europe.” This approach would allow members to be the best they can be to the mutual benefit of all, rather than forcing some members to pursue a course they are sure to be slower on, ultimately with far less to offer the whole, rather than simple conformity.